The Eastern Sierra’s brilliant fall colors and Mono County’s myriad fun events are the perfect excuse to visit this fall – and with the aspens already peaking at higher elevation, now is the time to go. Each year Mono County’s lakeshores, meadows and steep alpine slopes light up yellow, orange and red as aspen, cottonwood and willows put on their display among the dark evergreens and below the silver-white granite peaks. And this year’s fishing derbies, writer’s retreats and Halloween parties are all the more reason to see the Eastern Sierra in this magical season. The quaint community of June Lake hosts the Inspired by Nature Writer’s Retreat Oct. 14-16 featuring a variety of creative activities and workshops in an incredibly inspiring scenic location, presented by the June Lake Loop Performing Arts Association. New this year, the Eastern Sierra Interpretive Association (ESIA) hosts an inaugural Eastern Sierra History Conference that takes place in Bishop, Oct. 28-30, featuring local history about the people, culture and traditions of the region. For those looking for a different way to celebrate Halloween, Tom’s Place Resort hosts a Halloween Party on Oct. 29, and a Halloween Haunted House at the Heidelberg Inn in June Lake on Oct. 31 is an annual, local tradition. Other Halloween festivities take place at Rhino’s and Sportsmen’s in Bridgeport on Oct. 29. 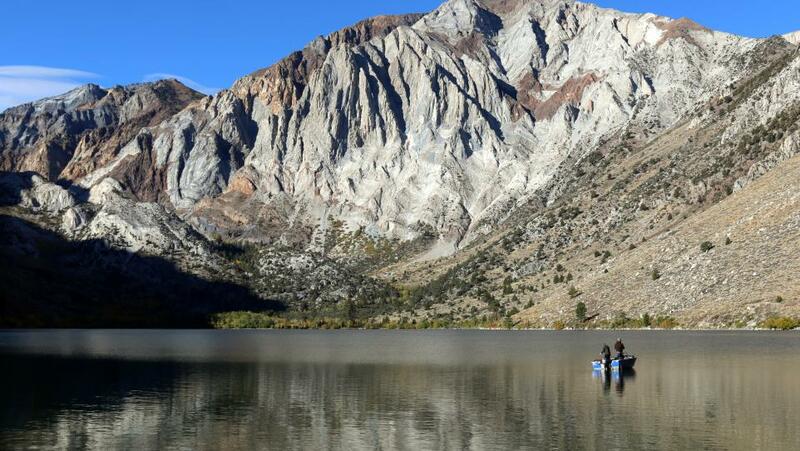 There’s still time to catch the big one (trout, that is) and Convict Lake’s Ambush at the Lake fishing derby runs through Nov. 15 (the official closing date of the regular fishing season, with year-round fishing season opening 11/16) while Morrison’s Bonus Derby takes place during the weekend of Oct. 28-30. 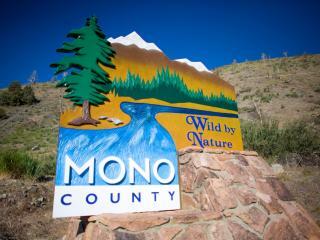 To get the most out of an autumn visit between events, go to www.MonoCounty.org to check out the fall color report and download the free Eastern Sierra Fall Color Guide and keep an eye on Mono County Tourism’s Facebook and Instagram pages to see where the colors are going off in real time.